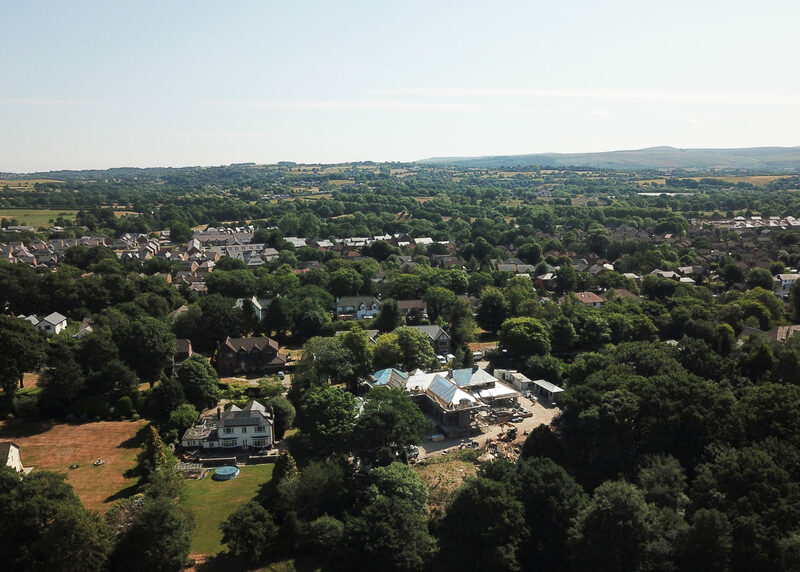 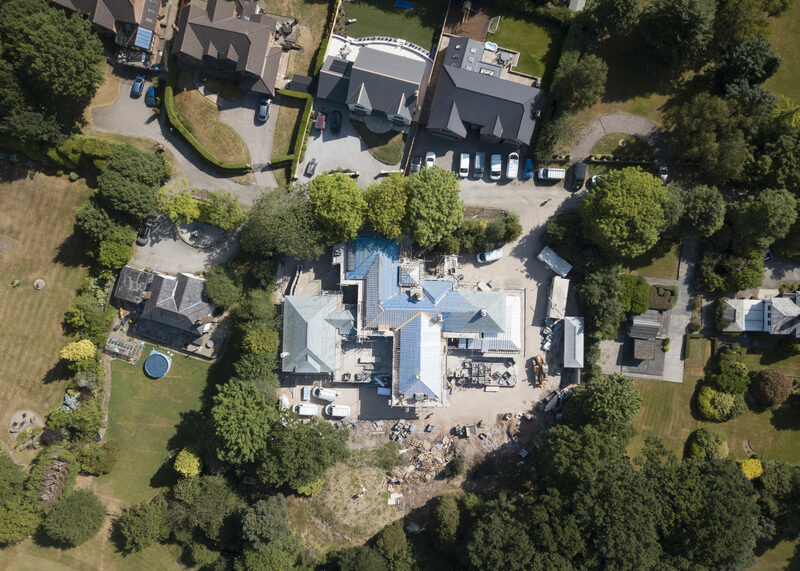 Aerial photos of Greenways, a private residential project, are taken using a drone as construction is well under way. 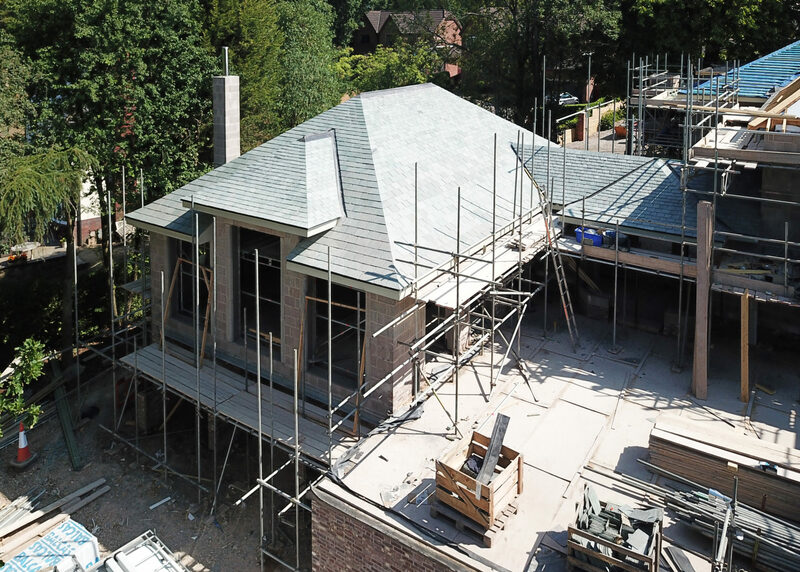 This large scale extension is designed in an arts and crafts architectural style in keeping with the existing house. 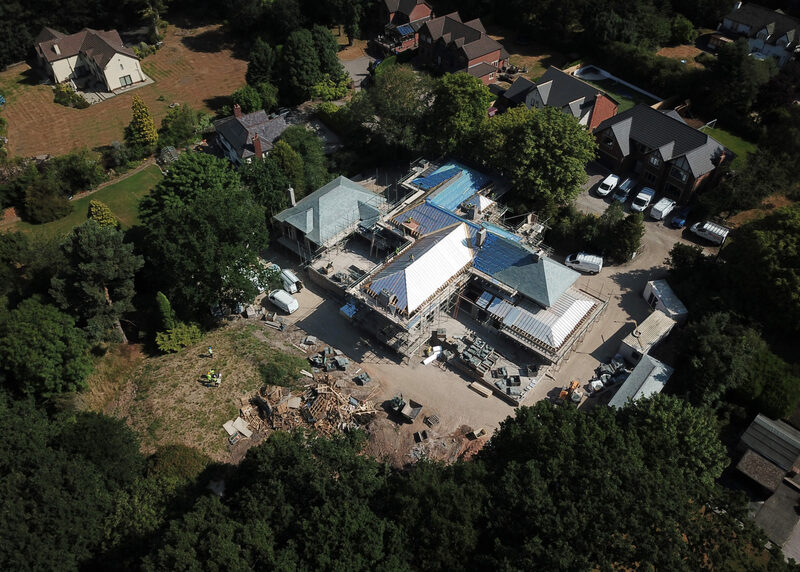 We are very excited to work on this project and see it come to life.